In 1910, the construction association Verband der Baugeschäfte von Berlin und Vororten e. V. – later Innung des Bauhandwerks – acquired the property in Köthener Straße 38, to build their association headquarters there. The inauguration took place on 6 October 1913 after three years of construction. Its impressive centrepiece is the Meistersaal, which amongst other things served as a banquet hall when awarding master craftsman’s certificates to builders, from which the name “Meistersaal” is derived. 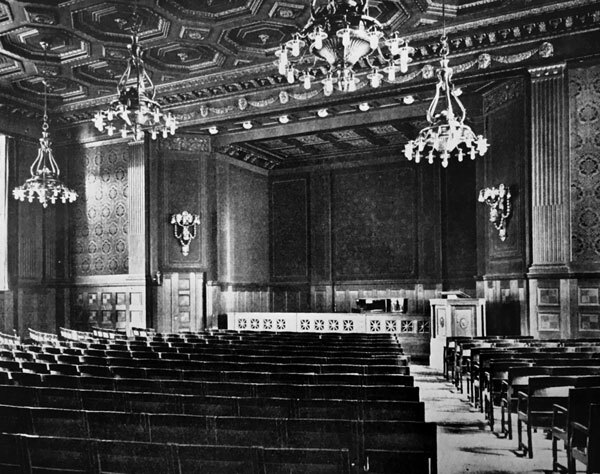 In the 1920s, the Meistersaal gained increasing artistic significance. It was then that the Malik Verlag moved into the ground floor of the building and, on January 27 1921, succeeded in organizing a reading by Kurt Tucholsky in the Meistersaal. In addition, the actors Carl de Vogt and Ludwig Hardt also organized events in the Meistersaal. The Second World War was also a decisive turning point for the Meistersaal. Heavily damaged, only partially rebuilt, directly adjacent to the Wall and therefore far from the centre of the new West Berlin, it remained for many years a pale reflection of its great past, little more than another relic of this torn city. A new beginning in the 1960s was sparked by the arrival of the Ariola record label, which took advantage of the Meistersaal’s famous acoustics, as well as its quiet location near the Berlin Wall, for their studio recordings. The best-known artists recording their music in the Meistersaal at the time were the composer and conductor Robert Stolz, the tenor Rudolf Schock, René Kollo, Norbert Schultze, Peter Alexander and the Swedish singer and actress Zarah Leander. In 1976 the Meisel Musikverlage acquired the building at Köthener Straße 38 and established their five Hansa recording studios there. All war damage was redeveloped and the premises were turned into a suite of recording studios – the Meistersaal became Studio 2. During this time, the Meistersaal gained worldwide fame in the music world. David Bowie, who named the Meistersaal “The Big Hall by the Wall”, recorded the albums “Low” and “Heroes” in 1977, whilst in the same years Iggy Pop recorded “The Idiot” and “Lust For Life”. Depeche Mode worked on the records “Construction Time Again”, “Some Great Reward”, “The Singles 81-85” and “Black Celebration” in the Meistersaal between 1983 and 1986. 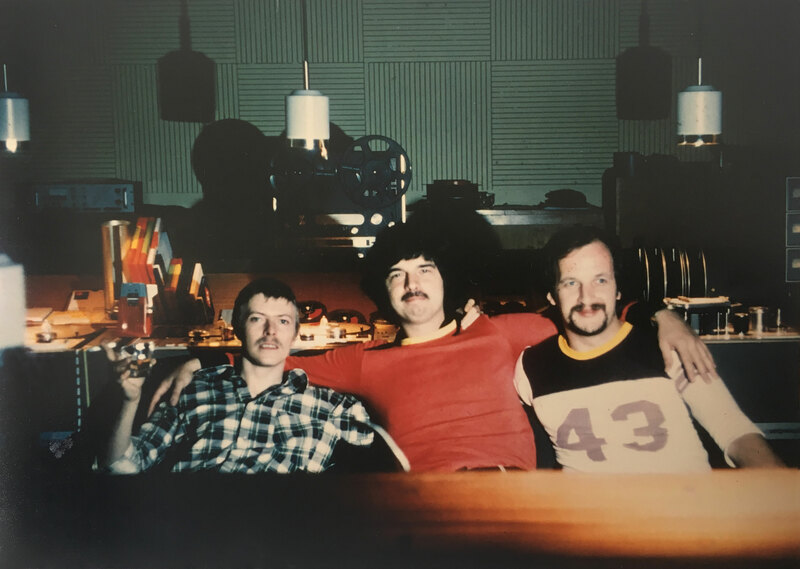 With the fall of the wall, the previously quiet location of the Meistersaal was lost and there was no long a need for recording studios of this size, so, for cost reasons, it was decided that Studio 2 should close. The last production in October and December 1990, however, saw the Meistersaal go out on a high note as the group U2 recorded parts of their album “Achtung Baby” there. Thomas Meisel, co-founder of Hansa Studios and owner of the building, decided to reopen the Meistersaal in its original guise as a venue. Restoration began in March 1993 and lasted 18 months. The Meistersaal began hosting events again from October 1994. The program focused on piano and recitals, theatre and readings. In February 2009, after additional technical upgrades, the Meistersaal was reopened for third time, this time by the BESL Eventagentur. Since then, the Meistersaal has be used solely an event location. And thanks to Emil Berlin Studios, it is increasingly being used for music recordings.